The Tenant Fee Bill is no longer a will they/won't they situation. It's coming and all lettings agents will need to be ready on deadline day. If you're still not sure how the fee ban will affect your business, or what you need to do to be compliant, we take a look at the crucial points. What is the Tenant Fee Bill? Tenants might be rejoicing, but the lettings industry isn’t so sure. Whatever you think of it, the tenant fees ban is coming and you’ll need to make sure you’re ready. First of all, what is the Tenant Fee Bill? On 1st June 2019, it will become illegal for lettings agents to charge their tenants certain fees. The Tenant Fee Bill will be passed into law and will become the Tenant Fee Act. The Tenant Fee Act will apply to all assured short-hold tenancies and licences to occupy in the private rented sector. Any other fees will be illegal and subject to either a fine or criminal charge, for repeated violations. These include fixed charges for referencing, inventory, contract and any other charges not listed above. Taking into consideration that lettings agents are set to lose around 20% of their income from the ban on fees and it’s plain that there will be a bumpy road ahead for some. Of course the whole reason for the Tenant Fee Bill is to make charges more transparent for tenants. The original issue is that many agents were charging what were perceived to be unfair fees including hefty charges for cheap broken items - with reports of £45 for a broken dustpan and brush, or £200 to complete checkout. Add in the inconsistency between agencies in charges levied and it became clear that there needed to be some kind of control or legislation to protect the consumer. 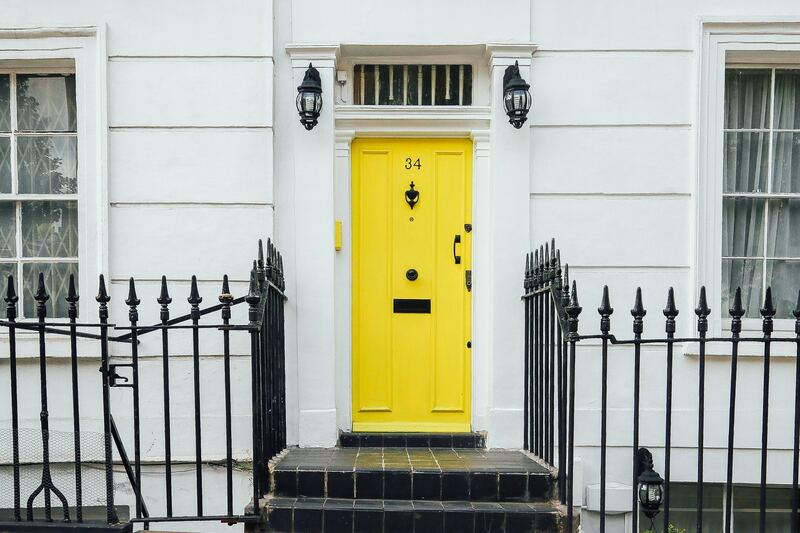 Highlighting some of the inconsistency in letting agents fees, we took a look at several letting agents across the UK. What we found is that some agencies would only charge the basic fees, such as tenancy agreements and referencing, some would charge for everything they could. And, as you might notice from the figures below, there is nothing to stop agents charging whatever they want. Admin fee: Not every agency has an administration fee, with many breaking the fee down to the specific fees listed below. Fees we found for admin charges ranged from £180 up to £360 (for 2 tenants with one agency) or £300 for one tenant. Reference fees: With referencing usually costing less than £10 per person, agencies set their own prices for reference fees. Prices we saw ranged from £45 to £120. Change of tenant: Life can catch us all out, and sometimes people need to move in or out. The change of tenancy fee is one of the fees that will remain after the bill goes live. Fees for changing tenants during a tenancy term ranged from £180 up to £420 plus an additional £60 for referencing! Contract extension: Some agencies don’t charge for a contract extension, but some charged from £100 up to around £200 to renew or extend contract agreements. Company or corporate application fee: For those signing lettings contracts on behalf of a company, fees ranged from around £200 to over £300. Inventory: Drawing up the inventory is often included in the initial tenancy agreement, but some agencies charge anything up to £250 for end of tenancy inventory checks. However the standard is between £100-150. Early termination: Some agencies quote their end of tenancy fees under the change of agreement heading. However, we spotted one agency charging £474 +VAT for an early termination. Guarantor fee: In the event of needing a guarantor for people whose income was too low to cover the rent (for example students), agencies ask for a credit check on the guarantor. Usually in place of the reference fee for the tenant. Prices ranged between £45 to £120. Unpaid rent: Another fee that will still apply when the Tenant Fee Ban kicks in, most charge between £20-30 for a late letter. Some also add anything up to 8% interest on late charges. Over the years the subject of unfair fees has been widely documented and subjected to various legislation, including the Consumer Protection from Unfair Trading Regulation (2008). This covered some aspects of tenants fees, but clearly there has been a demand from the populace for some controls to minimise unscrupulous practices. On the 23rd November 2016, the then chancellor Philip Hammond made a shock announcement that all additional tenant fees apart from rent and deposits would be banned. If your agency is charging any additional fees besides those listed on the fee ban then you will need to stop charging them after this date or be subject to legal charges. 23rd November 2016: Tenant Fee Ban announced in parliament. 1st November 2017: Draft of Tenant Fee Bill released for consultation. 1st June 2019: Tenant Fee Act passed into law. Fees can still apply to pre-existing tenancy agreements. 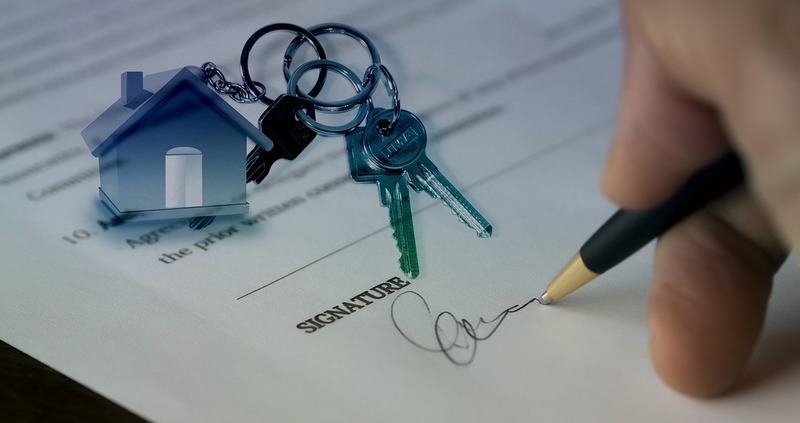 1st June 2020: Tenant Fee Act will apply to all tenancy agreements including those signed before 1st June 2019. So although lettings agents can still charge additional fees such as admin charges, inventory and referencing up until 1st June 2019, they will not be able to after this date. You will not need to make any refunds for charges before the 1st June 2019. However, if you have charged something like an upfront checkout fee then this will need to be refunded to the tenant within 14 days after the Tenant Fee Act goes live. Lettings agents and landlords in Wales are not subject to this particular bill. However there is a Wales specific bill currently waiting for Royal Assent, which means it will pass into law once it has been ratified by Parliament. Lettings agents in England worried about the effect of the fees ban on their income can simply look north of the border. Scotland banned tenant fees (‘premiums’) in 1984, however due to loopholes and issues with the terminology, it was only in 2013 that tenant fees were finally outlawed. So how has this affected the Scottish rental market? Overall, the effect has not been quite as dramatic as the doomsayers expected. In fact, after the 2013 clarification of the fees ban in Scotland, average rents grew at a similar rate to those in England, with no major price hikes. In a survey conducted by Shelter in the aftermath of the Scottish fees ban, the findings were generally positive on both the side of the tenants and the lettings industry. Lettings agents in Scotland asked about their perception of the impact of the ban one year later, were mostly indifferent. 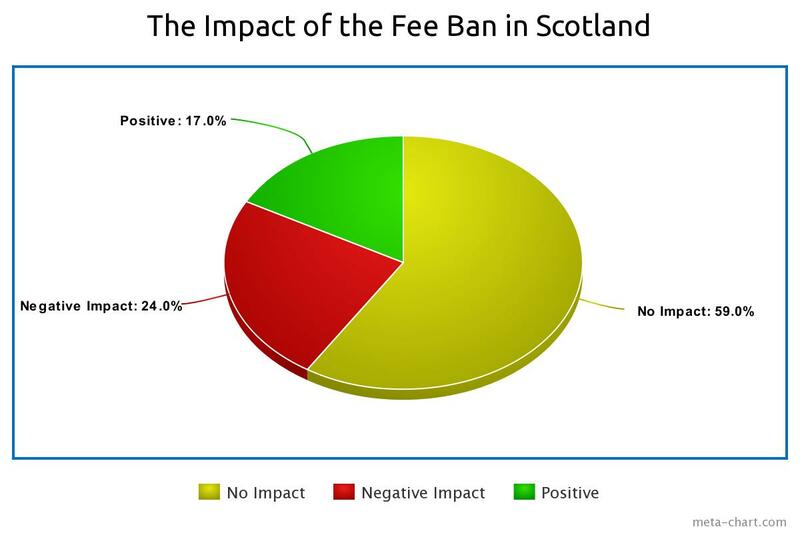 59% felt that the fees ban had no impact on their business while 24% felt that it had a negative effect. The remaining 17% felt that the ban had been generally positive on their business. The industry in general also showed mostly healthy trends, with Scotland mirroring England with rental price rises of around 16% in the year after the ban clarification. However, in Scotland, the rental rises eventually levelled out and actually dropped, with England seeing a general rise of around 9.1% and Scotland only seeing around 5% growth in rental prices. However, much like in England, prices rose higher in the bigger cities like Glasgow and Edinburgh. Rents rose 19% and 20% respectively, most likely due to supply and demand issues rather than the change in fees. Away from Scotland, there are several countries where tenant fees aren’t charged. Tenants are required to pay a bond (the deposit) which is typically 4 weeks rent, before the start of the tenancy. They can also be asked to pay 2 weeks rent upfront which then goes toward their rent. Besides that, they cannot be charged any other fees. These are paid by the landlord. With around half the population being renters, Germany has a competitive rent market. Deposits can be up to three months rent, but agents fees are paid by landlords. One way that German lettings agents can charge tenants is by offering a paid service to find them a property. Normally aimed at busy people who don’t have time to look for a place to live. Theoretically, charging tenants administration fees is illegal. Letting agents usually charge landlords around 10% of the annual rent to manage a property on their behalf. Although the law is a bit muddy on the issue, some landlords charge tenants to view properties (theoretically its illegal though). In the Netherlands contract fees, or agency fees for tenants, are typically not legal but are widely charged. Legally the agent cannot charge both the tenant and the landlord, and usually, the landlord pays to have their property listed and managed. The Swedish model is very different from the UK with the buy to let market tightly controlled by central regulation. In fact, most rentals are in purpose built blocks which are managed by a developer. Rent typically excludes utilities and even furnishing in most instances. However, tenants can opt to pay an all inclusive service with heating and utilities included. Rent in America varies from state to state. In some, tenants pay the fees and in others it’s down to the landlord. You’ll normally pay a months rent up front, plus a month as a deposit. You may sometimes need to pay for the lease paperwork to be drawn up, however on occasion, this is carried by the landlord. In general you’ll notice that most of these countries focus on the landlord for their fees. Some add extra services for a fee, such as property shortlisting, or offer to include bills and furniture for an optional extra. But what can you actually charge for when the Tenant Fee Bill comes in? Can be set as you and the landlord agree and can be collected weekly or monthly, or paid up front as a lump sum if required. There are no laws or limitations around the amount of rent that can be charged. Rent is normally set for the duration of the tenancy agreement and can’t be changed. However, rent can be changed if there is a rent review clause in a tenancy. If there is a rent review tenancy in the agreement then the landlord will need to give at least one months notice before changing the rent. Tenants can be charged a deposit of no more than 5 weeks rent. This then has to be kept in a Government-backed Tenancy Deposit Scheme (TPD). In the case of damage to the property, missed rent or outstanding bills, the deposit can then be used to cover reasonable costs. For high value properties with rent exceeding £50,000 per year, a deposit of 6 weeks can be charged. After viewing a property a tenant can put down a holding deposit of one weeks rent to secure the property and take it off the market. The holding deposit doesn’t have to be protected, but once the tenancy agreement has been signed the holding deposit can be used as part of the deposit and then placed in the TPD. If a tenant needs replacement keys or security fobs, the agent can charge a fee of no more than the value of the cost of the key. In the case of unpaid rent or damage to the property, the agent can apply a penalty charge. With unpaid rent, after 14 days the agent can apply a charge of no more than 3% above the Bank of England base rate. With damage to the property, the agent can claim the costs back from the deposit, or ask the tenant to pay the bill. If a tenant asks to change a tenancy, for example changing the people on the let, or early termination, a maximum fee of £50 can be charged. If you can prove that costs were incurred as a result of the change then you may be able to charge extra. Although these are the only charges that can be officially charged to tenants, agents can also offer optional fees. So long as the tenant has a choice in the matter, lettings agents can get creative in the fees that they can offer. However, there are a variety of fees that you absolutely cannot charge. The key factor to bear in mind is that if the tenant(s) do not have a choice when it comes to additional charges, this is where letting agents will fall foul of the law. But there is nothing to prevent letting agents offering an optional service for an additional fee. So long as the property occupier is given the choice, additional charges can still be levied. So for example, when vacating a property the agent can still require that the tenant returns the property ‘in the same state as when the tenancy commenced’, which will likely be cleaned to a professional standard. Although you cannot require that a professional cleaner is used, you can offer a recommended cleaning service. “...recent guidance from NTSEAT refers to the Consumer Protection from Unfair Trading Regulations 2008 (“the CPRs”) and their application in relation to referral fees. The guidance states that any practice which hides the real price of a service is capable of being found to be an unfair commercial practice under the CPRs. Following on from this, Peter Habert, Director of Policy at The Property Ombudsman, recommends that lettings agents also take the time to consider this guidance in relation to their referral and associate services arrangements”. In short, agents will need to make a clear declaration if they are going to be making a percentage on any additional services. How can you work with the tenant fee bill? The Tenant Fee Act will change the way letting agents approach their business. There’s no question that it will be a turbulent time for all, especially as it is running alongside other issues like Brexit and the legislation around the Fitness for Human Habitation Act 2018. But for the savvy landlord, there are ways to embrace the changes and adapt the business model for the better. We took a look at ten ways to survive the Tenant Fee Bill in a recent ebook, which gives a great insight into some of the best options. Working with local businesses to offer a membership giving discounts on local shops and services. Offering optional fully inclusive rent with all bills, including utilities, internet and maintenance fees included. Provide an optional move in and move out service, enlisting a local removals company to help people relocate at the end of their tenancy. Go above and beyond with your customer service offerings, using technology to provide a responsive service with everything from your paperwork to you repairs and maintenance. The future of the lettings industry in the UK is changing and the difference between companies who survive and those who sink will come down to innovation and inspiration. But can’t lettings agents simply put up the rent? Well, yes they can, absolutely. And in fact this will likely be the approach for many agents in the immediate future. When it comes to competition, those agents may find they lose out to others who offer an alternative package or who go that bit further to offer an optional extra. Before simply deciding to put the rent up, look at how else you can add to your business value. 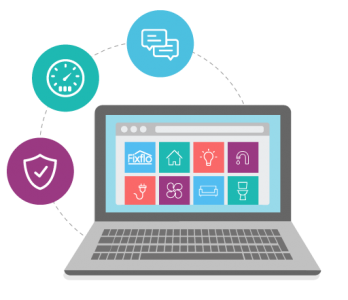 Are there other channels where you can streamline your in house offerings via automation and save money? For example, using Fixflo means that you can offer a reactive repairs and maintenance service that can both help tenants fix simple issues and can also organise call outs with tradesmen. In fact, The Fixflo Report 2018 showed that the average property manager will deal with around 935 repairs across their portfolio of property in a year. In the same report, around 21% of respondents were aiming to invest in technological solutions to problems in the coming year. Although the Tenant Fees Act means that lettings agents might be set to lose out on around 20-30% of their profit, it doesn’t have to be the end of the world. With a fresh approach and a willingness to embrace modern solutions, the Tenant Fee Act could be an opportunity for some lettings businesses to shine.